It seems to go almost without debate these days that if you have the means you should load your home and life up with what we’ll call Labor Saving Devices such as a dishwasher or clothes washer and dryer. But what other ‘devices’ could fall under this category of trading money for time? Perhaps a riding lawnmower, maid, Roomba, gardener, pool guy or dog walker would count as well. Do these makes sense from an economic perspective? Is this a waste of cash or a true time saver? Let’s discuss. Whether you’re purchasing a service or a machine to do your work you have to take several items into account to determine if it makes sense. Does it need to be done? Are you spending too much on gardening? Tusk tusk. washed. It’s clearly a cheaper path to clean the items then to buy them anew each time. Vacuuming is a good idea, as is gardening. But vacuuming every day may be overkill. 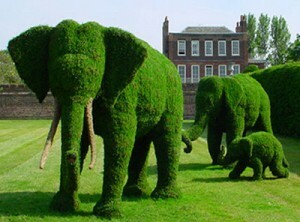 And getting your bushes turned into elephant topiaries might also be a bit more than you really need. So first consider what really needs to be done and how often. I personally like having a housekeeper. I’d love for her to come weekly but I know that every two weeks is fine for me. This one’s pretty obvious at first blush. You’ll need to take the cost of an item or service into account to determine if it’s a good deal. But dig deeper and you’ll find that there are ancillary costs that often arise. Will the item need maintenance in time or money? Roombas, for example, sometimes need new batteries or brushes. 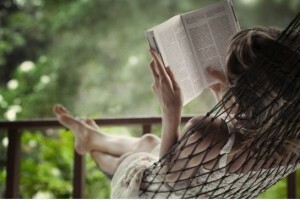 They also need to be cleaned of dirt and tangles more often then you might like (read every time). Services have hidden costs too. Do you buy your babysitter dinner? Do you give your dog walker a Christmas bonus? Take all of this into account when figuring out the true costs. We could spend forever on this one… but let’s try to make it simple. Take however much you make after taxes. Now subtract all of your job related costs like transportation and work clothes. Divide this by the number of hours your spend working – be sure to include travel time. What’s left is a rough estimate of how much your time is worth. Bill makes $42,000 a year after taxes. He spends $1200 a year on gas and such to get to and from work. He works 40 hours a week and travels half an hour to get there (5 hours a week) for 50 weeks a year (2 weeks paid vacation) . ($42,000 – $1,200) / (45 x 50) = $18.13 = an hour of Bill’s time. If you make more than you would have to pay something or someone to do it for you then you’re off to a good start. In theory, if you can trade an hour of your time to work your normal vocation versus doing a job that can be done cheaper you’re in the black. Devices in particular can often do a job much cheaper than a person – which is why when people talk about their dishwasher they invariably mean a machine and not a person. But what if you’re not actually going to be working and earning more with this time? What if you can’t or won’t actually be putting in hours while paying someone to clean your pool? Perhaps you just want to catch up on your favorite shows, read a book, or play with your children. Well, that’s fine too. If you value it more than the difference in price between you working and paying for the service then by all means enjoy your book. What are your favorite time saving devices or services?